This is the first year that my work has had a real trick or treat party planned. Unfortunately, it conflicted with Scott's. The girls came up to mine, and then we sped down to Scott's. Sadly, everyone at his work was completely out of candy. Except his boss, Rich, and he was kind enough to hid a necklace for each of the girls. Here are my two girls with Mike's girls. (Mike is who I started working for 3 1/2 years ago). His daughters are 9, 6 and 2. The youngest is 2 weeks older than Ivy. 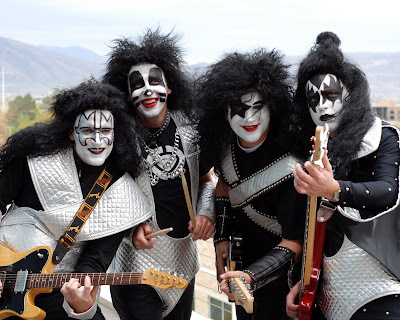 KISS came to see us on Halloween, with the Village People opening for them. 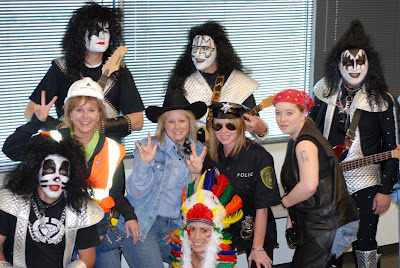 Okay, so KISS is our executive staff and the Village People are all the women on the Inside Sales Team. 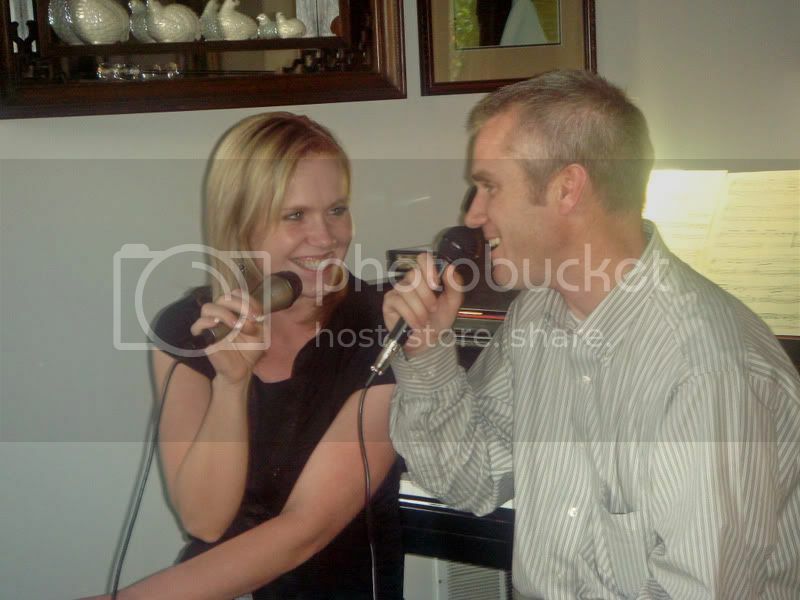 (I have to point out that Amy, the policeman, wore a completely different outfit for her evening festivities. Her son told her that he though he'd outgrow Halloween before she did. I dare say, he might be right). Here is another picture of our Executives. You made an incredible witch.... I might have to be that next year!!! Your daughters so adorable! It was so nice to see them in person. Thanks for taking the pictures. You always do such an amazing job! 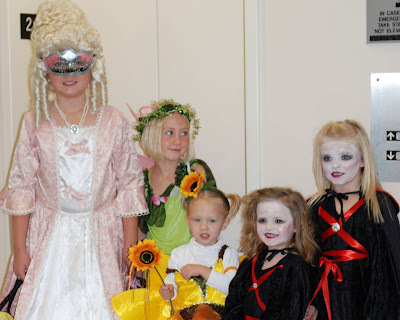 Great costumes, make-up and photos!